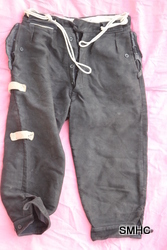 Pair of black moleskin climbing breeches with nylon cord looped through waist. Button fastenings. Two side pockets. 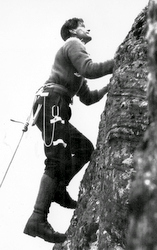 Ranald Strachan donated this pair of breeches on behalf of his late father, Ronald, who was a mountaineer and one time member of RAF Kinloss Mountain Rescue Team. Though not the real thing, the material used is often referred to as moleskin, though we're not sure of the proper name. There's no maker's name which makes us wonder if the RAF had a special batch made for their rescuers. 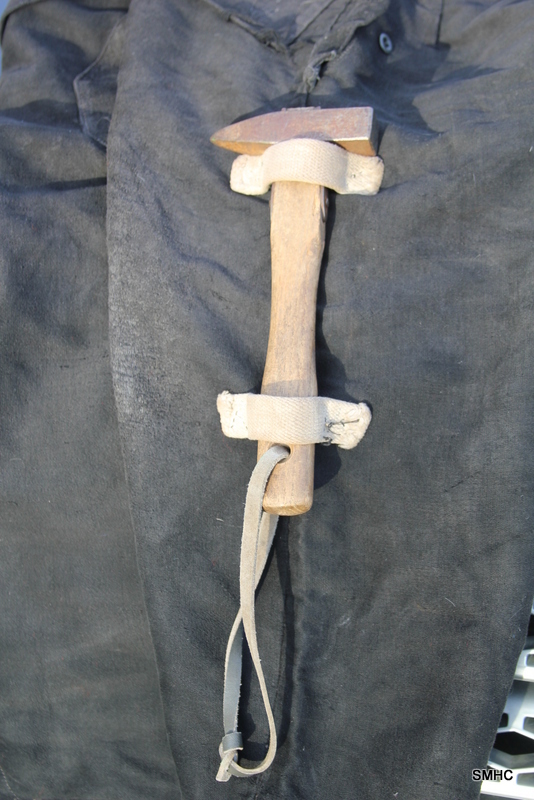 Looks like the nylon tape for a piton hammer was a later addition and the 'belt' is a standard issue Viking nylon sling adapted for the purpose.